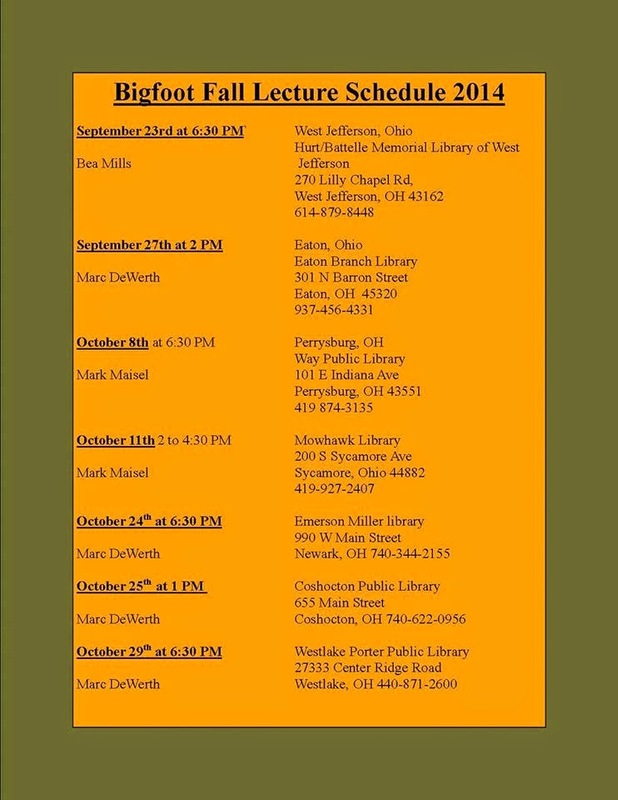 Here is a list of dates for the Bigfoot Fall Lecture Series taking place throughout Ohio. Mark Dewerth will be speaking at many of the dates. He is the guy who runs the Ohio Bigfoot Conference and is very passionate about the subject. I highly recommended checking him out if you can.